BLINDING THE ENEMYSmoke screen as laid by American destroyers. 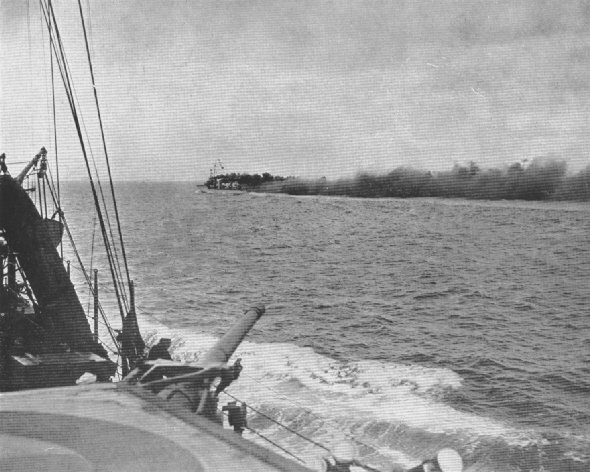 Although used in many ways, the smoke screen was particularly helpful when a ship had been disabled. Hiding the injured vessel from the enemy, it protected it from further attack during repairs or while the ship was helped into port.